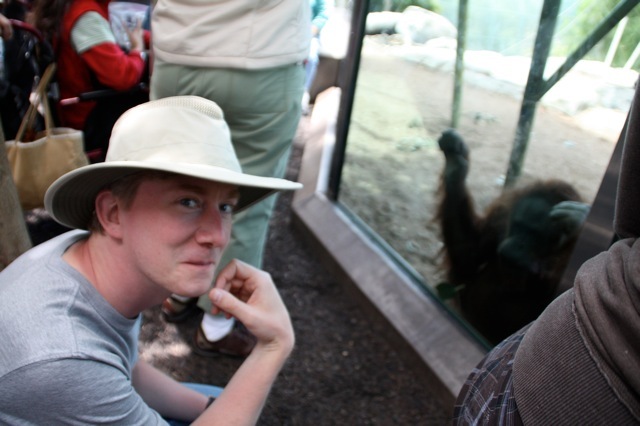 Ian Tregillis is a debut novelist, scientist, screenwriter, man of leisure, and best of all mammal. His alternative history trilogy, The Milkweed Triptych, which starts with Bitter Seeds has just recently been released from Tor Books. His work has also appeared in the latest volumes of George R.R. Martin's Wild Cards. MH: Firstly, thanks for agreeing to this interview. Secondly, can you tell us a little bit about yourself? 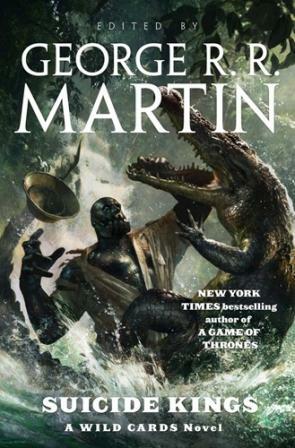 I know you've been involved in GRRM's Wild Cards consortium for a few years now. IAN: You're welcome. Thanks for interviewing me. I'm originally from Minnesota. I grew up in the Twin Cities, and attended the University of Minnesota for both college and grad school. But then the lure of gainful employment lured me to New Mexico. A few years later, after a long sequence of events where I was at just the right place at just the right time, I fell in with an amazing collection of professional science fiction writers. I'm still somewhat amazed that they took me in. A while after I joined up with the local writers, George Martin and Melinda Snodgrass were looking for new writers to join the Wild Cards consortium, in preparation for a relaunch of the series. Melinda and Daniel Abraham convinced George to take a chance on me. And I've been chained in the hold of his dirigible ever since. MH: How would you describe Bitter Seeds to new readers? IAN: It's a fantasy alternative history of World War II, with superpowers, warlocks, spies, demons, and explosions. It's about the human costs of war, both in battle and behind the scenes. (Sometimes I say "superheroes" instead of "superpowers", but I looked ahead to your next question and cheated.) My friend Daniel Abraham calls it an adventure story with magic and spectacle. I jokingly refer to it as, "Watchmen meets Inglorious Basterds." MH: Bitter Seeds centers around your version of the World War II or more specifically the conflicts between Nazi Germany and Britain. Did you ever worry that creating a story involving Nazi Superhero like people would be seen in a bad light? IAN: Good question. The last thing I'd ever want is for people to think that Bitter Seeds is intended, in any way, as a glorification of the Third Reich. I tried to make it clear that although the war described in Bitter Seeds isn't the war we know from history books, the background of the fictional world is our world. So the German soldiers in Bitter Seeds serve the same twisted ideology they did in the real world. That hasn't changed. The project that creates the "supers" in my book is modeled on gruesome human experimentation that really took place. If the book is dark in places, that's because it's skirting the edges of real history. That said, "superhero" is a convenient shorthand to describe some of the characters in the novel--one I use myself, frequently--but it's actually somewhat misleading. What we really mean is that these characters have unnatural abilities. "Superhero" connotes a dogooder, but none of the characters fit that description. Likewise, there are no supervillains. I tried to paint all the principals in shades of gray. Nobody is purely evil or purely good. Even the protagonists of the story do dark things. At the same time, there is a point of view character on the Axis side of the war, and I wanted to ensure that he wasn't a cartoon. He's very conflicted about what he's doing and what he's a part of. And he should be. MH: I can attest that none of your characters are placed in easy situations and never with clearcut choices. Your German X-Men come about their powers through scientific means. How did your own scientific background working with Los Alamos National Laboratory and other research influence Bitter Seeds? IAN: You know, people often ask me that. When I first started kicking around the ideas behind this story, I brought an outline to my local writers' group, to see if they thought it was a project worth pursuing. (They did, enthusiastically.) One of the things I'll always remember from that meeting was the awkward silence, until somebody broke the ice by saying, "So, uh, what exactly do you do at the lab?" But in fact my science background played very little part in the development and writing of Bitter Seeds. The story is purely fantastical. Writing is my escape, and if I started writing a novel rooted in rigorous science, it would feel like I was taking my work home with me. Although I couldn't resist working just a little bit of real-world physics into the plot. 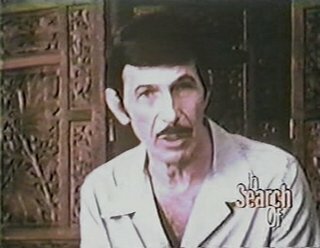 MH: When I was a kid I would watch reruns of In Search Of hosted by Leonard Nimoy everyday after school and learned about all kinds of weird stuff on ancient civilizations, Dracula, and Loch Ness. This is also the show where I learned the Nazis were very into Ancient Mysteries such as Atlantis and strange science, which was little known until after their downfall. How much if and did the speculation of Nazis experimenting on humans and creating flying saucer tech play into your world? There was definitely an undercurrent of weirdness to pieces of the Third Reich, from the Ahnenerbe and pseudohistory, to Himmler's dabbling fascination with the occult. (Although not everything in the Third Reich was steeped in occultism, and in fact many prominent Nazis decried such things. In the grand scheme of things, it was probably more of a footnote than anything else.) The occult angle has been explored quite a bit, so I wanted to take the story in a slightly different direction. World War II jump started tons and tons of technological research and development, for both the Axis and the Allies. It's also known that the Axis powers performed some truly horrific human experimentation. (At extermination camps in Europe, but also in places like occupied Manchuria.) So, while I didn't veer into saucer tech and foo fighters, I did think it would be interesting to build on that historical record of intense scientific development, and combine it with an overly-literal quest for Nietzsche's "overman". MH: With so many well known and well regarded writing cohorts you must have been imparted some great wisdom at some point. What's the best advice you've been given as a writer? Have you followed it? George Martin taught me to, "Never hoard your silver bullet." Charles Coleman Finlay taught me that spending a lot of time struggling with some aspect of writing isn't necessarily a sign of weakness. Cory Doctorow taught me that every writer has strengths and weaknesses, and that good writers acknowledge this. Walter Jon Williams taught me that a truly skilled writer can make anything riveting. Elizabeth Bear taught me that writing is a process of continual improvement. Daniel Abraham taught me that "information control" is one of the keys to good storytelling. MH: While Bitter Seeds is a complete story in and of itself you've set things up well for more stories. What can we expect out of The Coldest War? Will you be attempting to do things any differently in form or style? New character points of view? And most importantly when can I get my grubby little hands on it? Bitter Seeds is the novel that introduces Marsh and Gretel, and where she puts all of her pieces on the board. The Coldest War is the novel where Marsh uncovers her plan. Necessary Evil is the novel where he has to deal with it. There is a new point of view character in Coldest War. That novel follows a similar structure to Bitter Seeds. Necessary Evil, which I'm finishing now, differs from the previous two novels both in style and viewpoint characters. The stylistic change in this third novel has made for an interesting challenge, but I'm excited about it. The Coldest War is currently scheduled for February, 2011. I don't know when Necessary Evil will be hitting shelves. 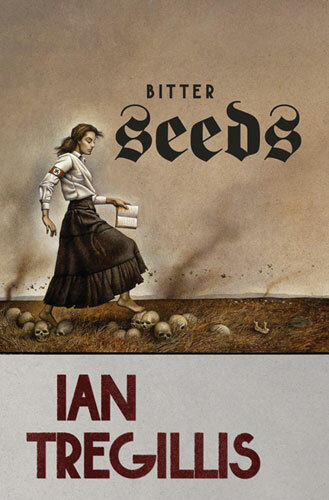 MH: What caught me when I first saw Bitter Seeds was the beautiful, yet austere cover art by John Jude Palencar. Do you think his depiction of Gretal is accurate to what you envisioned? Did you have a hand at all in the cover's evolution? IAN: My only influence on the cover art was in writing the actual book. But that didn't bother me at all, because when my editor told me that Tor had hired John Jude Palencar to do the cover for my first novel, I felt like I had hit the jackpot! I've been a fan of Mr. Palencar's work for a long time-- I'd never dreamed his artwork would someday grace one of my covers. 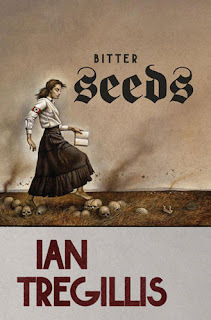 The cover art for Bitter Seeds is yet another place where I've been phenomenally lucky. His rendering of Gretel, and the entire novel, is pitch-perfect. The painting captures so many little elements from the book, both literally and stylistically, that it bowled me over the first time I saw it. I *love* the cover. MH: Besides the Milkweed Triptych what else are you working on? 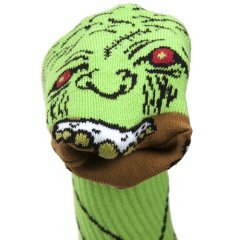 IAN: I wrote and tentatively sold a couple of short stories earlier this year (but I'm superstitious, so I'm not ready to announce those sales until the contracts are signed and the checks have cleared-- another thing I learned from GRRM). I'm also playing around with ideas for my next novel project, post-Milkweed. In fact I'll be discussing these with my agent when I see her in a few days. My gift to myself, after I turn in the manuscript for Necessary Evil, will be to finally turn my full attention to stuff that's been on the back burner for many years. I'm very excited about the next novel. MH:What are two things most people don't know about you? IAN: I once was thrown out of a Christmas party by a sock puppet. IAN: I am very fond of my Tilley hat [pictured at the top]. It has a nice wide brim (which is a good thing, because my pasty Minnesota complexion doesn't respond well to the New Mexico sun) and plenty of airflow. Plus, any hat that can allegedly) pass through the digestive system of an elephant yet still do its job afterwards has got to be a good one, right? MH: What was the book that made you love the Sci-Fi/Fantasy genre? IAN: My introduction to science fiction happened when I was 5 years old, after the first day of kindergarten. That's when I discovered Dr. Who on public television. 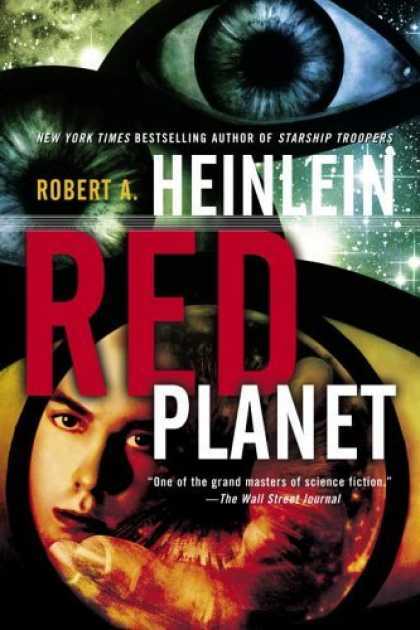 The first SF book I remember reading (devouring) was Heinlein's Red Planet. It's a very fond memory for me. MH: Is there anything you'd like to say in closing? IAN: I'm running a contest/puzzle on my website right now! First prize is a signed advanced review copy of Bitter Seeds. Details on the contest and some hints on how to play can be found in several entries on my blog, starting here. Fellow University of Minnesota grad here! In all seriousness, I've heard the book is great and am really looking forward to it.